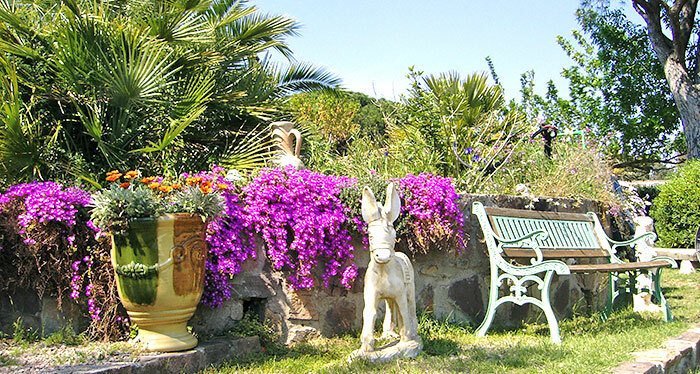 A warm welcome for a quiet stay in the Var, either in guest house or flat. 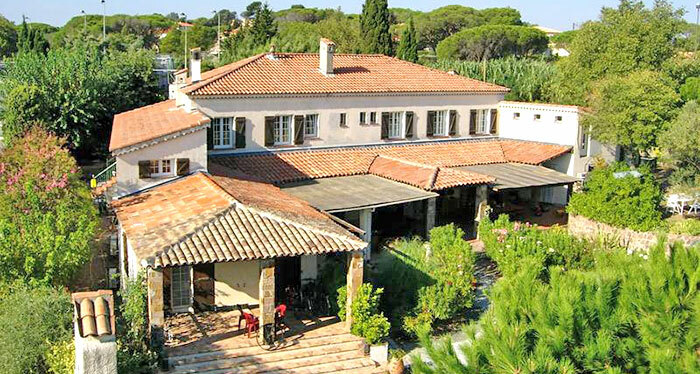 Christian and Cathy welcome you to the Mas Aurélia, a former riding school renovated in 2007, and propose 5 air-conditioned flats (from 30 to 45sqm) as well as 5 comfortable guest houses (from 18 to 25sqm) for your holidays rental in Fréjus. In an enclosed garden where life is enjoyable, you can enjoy either the overflowing heated swimming pool or relaxing places and playgrounds. You also have at your disposal an enclosed parking lot, a fully-equipped summer kitchen (oven, washing machine, mixer, ironing board and iron on request, hair dryer...). According to our guests’ wish, we also organize nice barbecue evenings including aperitif, meal, dessert, wine and coffee (indicative price 25€ for an adult and 12€ for kids). 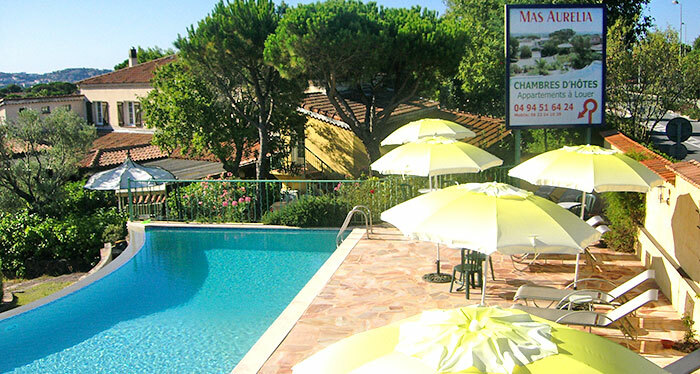 Located in a residential area close to trades, accessible on foot and 5 kms from the beaches of Fréjus - Saint Raphaël, the Mas Aurélia whose services are worthy of a hotel knows how to make you appreciate the pleasures of the Riviera. 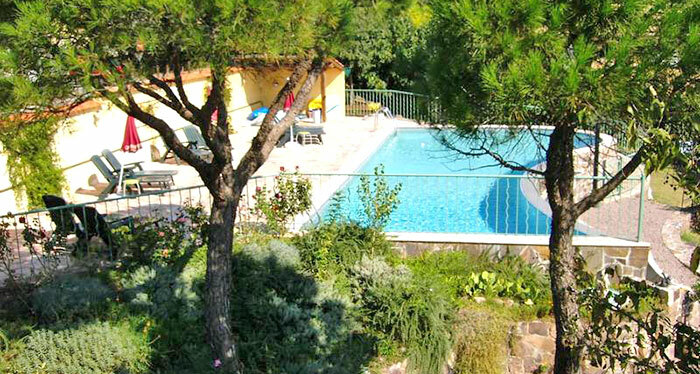 Either for a family visit or a business trip in the Var, the Mas Aurélia offers to rent its accomodations in half-board, either in a comfortable guest house (from 18 to 25sqm) or in a fully-equipped flat (from 35 to 45sqm). In the same spirit of conviviality, you have an independent access, air-conditioning*, television, fridge, bathroom and Wifi-Lan access. The Mas Aurélia’s accommodation facilities up to 35 people and its 5 guest houses and 5 flats are also at your disposal to organize exceptional events.